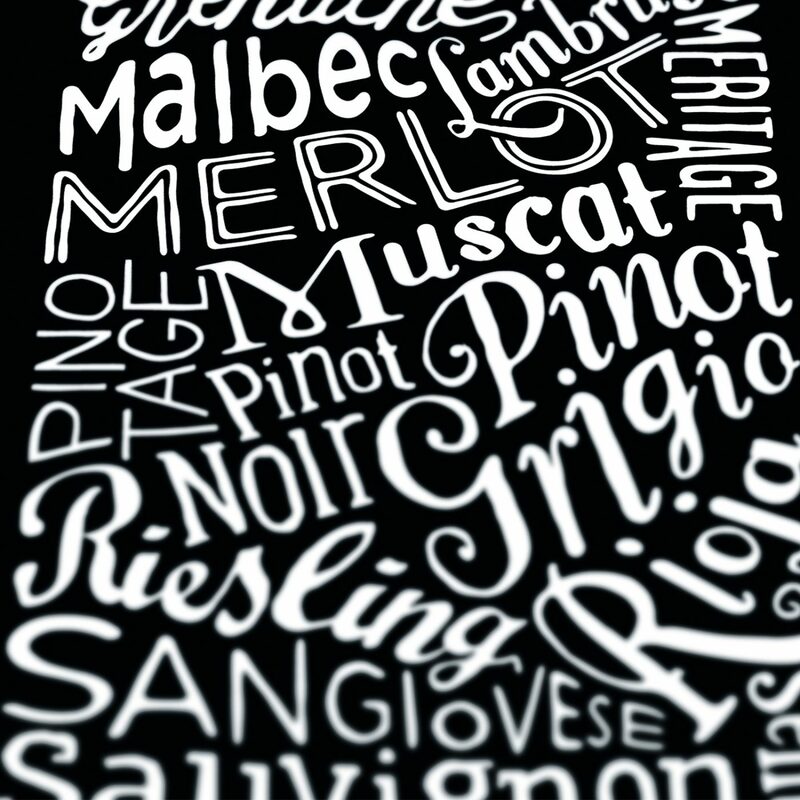 For the love of wine. 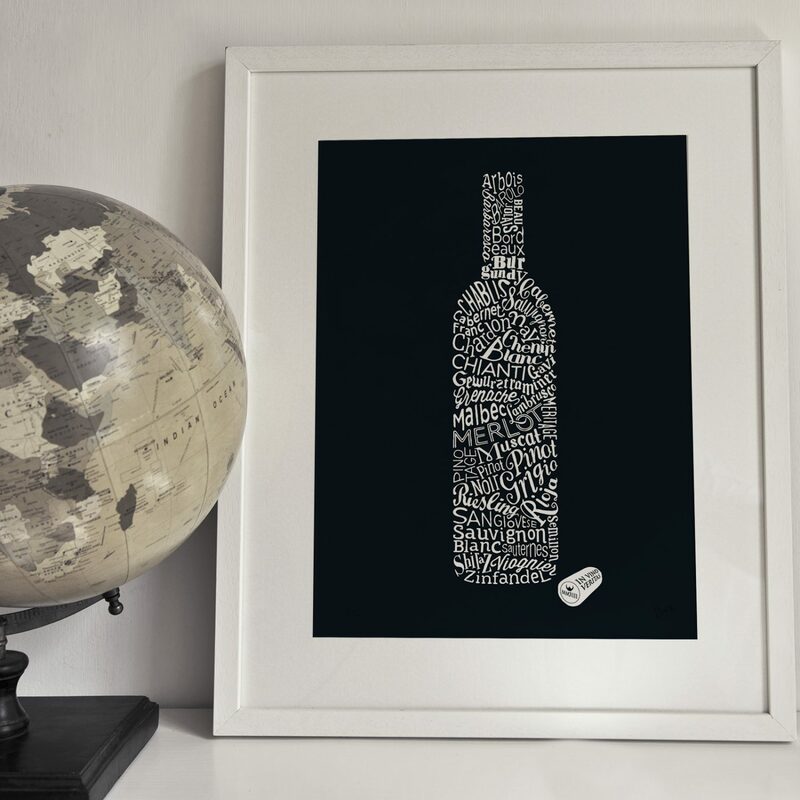 A limited edition fine art print of a typographical wine bottle. 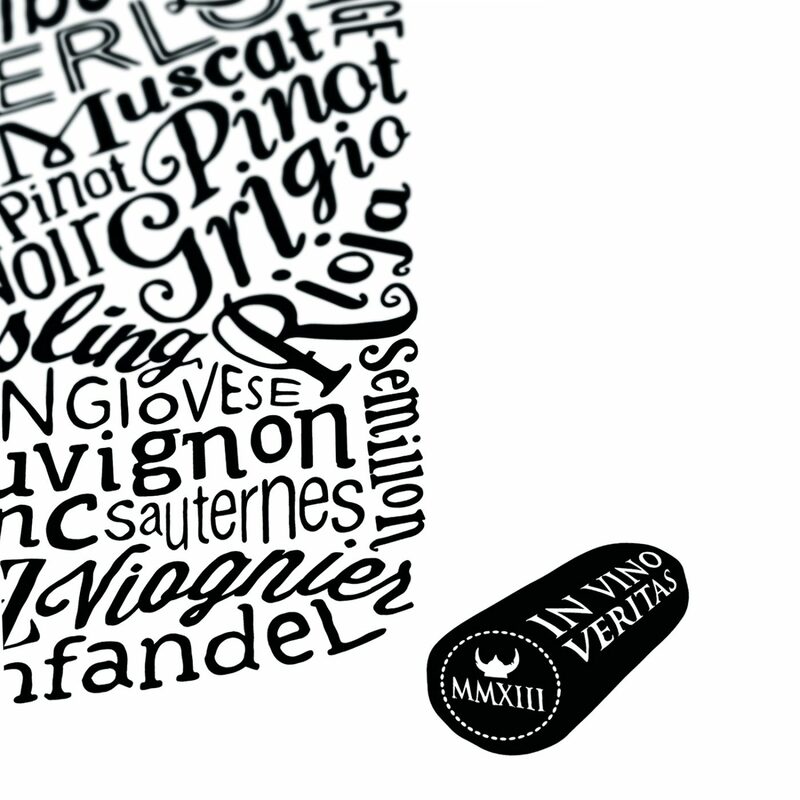 Grape varieties and blends from the Old World to the New, from Barolo to Burgundy, Malbec and Merlot. 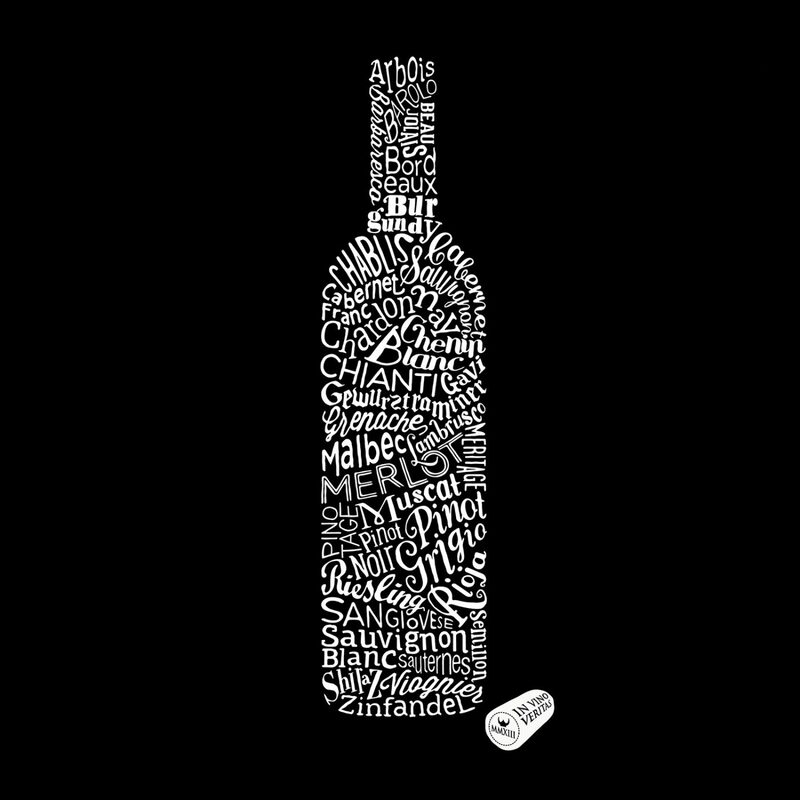 Bottled by Dex. An exquisite 30cm by 21cm giclée print. 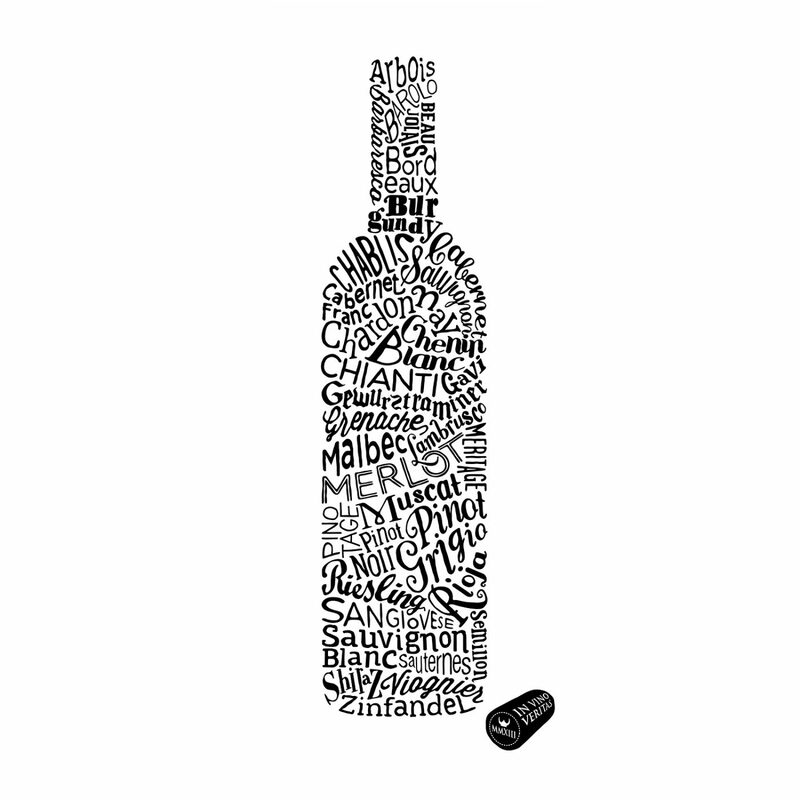 Available in black and in white, in limited editions of 250.